The International Maritime Organization (IMO) is moving forward with a marked reduction from 3.5% to 0.5% in the maximum sulfur content of marine fuel (bunker fuel oil) on January 1, 2020. In our October newsletter, Stillwater provided Part 2 of our series on this “IMO 2020 Rule”, focusing on the shipowners’ perspective. In this month’s newsletter, we will focus on the refiners’ perspective on this impending change, with particular emphasis on the impact of the IMO 2020 Rule when it is implemented in 2020. Refineries currently producing HSFO will be the most threatened by this rule. Refineries that currently produce minimal HSFO due to vacuum resid processing (e.g. coking, hydrocracking) will likely see IMO 2020 as an opportunity rather than a threat. Time is the enemy of refineries currently producing HSFO. Unless refinery modifications to reduce HSFO production are already well underway, those modifications will not be onstream until well after 2020. Distillate prices will increase markedly relative to high sulfur residual fuel products. Distillate prices (particularly in coastal markets) may also increase relative to gasoline. This will create product mix optimization opportunities for refiners and bunker blenders/suppliers. Intermediate streams that historically might have been processed on catalytic cracking or hydrocracking units may alternatively be routed to IMO-compliant fuel oil blending. Vacuum resid yield and sulfur content will cause crude price differentials to widen between grades (e.g. high resid content sour crudes versus low resid content sweet crudes). This will create crude slate optimization opportunities for almost all refineries. Expectation of a wide price differential between IMO 2020-compliant fuel and traditional HSFO will create an incentive for shipowners to install onboard scrubbers and for refiners to install (or expand) resid upgrading facilities. Investment decisions by either of these industry sectors, driven by a wide price differential expectation, will directionally reduce the magnitude of the above market price changes. As the IMO 2020 is an international regulation, refineries in all corners of the world will be impacted. According to the BP 2016 Statistical Review of World Energy, refinery throughput in 2016 was 80.6 million barrels per day (bpd), fuel oil production was 8.0 million bpd, and distillate production (excluding kerosene and jet fuel) was 27.5 million bpd. Per the EIA, global marine fuel use is 3.9 million bpd, or about half of the 8.0 million bpd production if assumed to be all fuel oil. In aggregate, the U.S. refining industry has a small exposure to this change. Of the 8.0 million bpd of global fuel oil production in 2016, just 419 thousand barrels per day (KBD) of residual fuel was produced by U.S. refineries per the EIA. About 25% of the refinery production was under 1% sulfur. Table 1 summarizes U.S. residual fuel data from the EIA. At 2.6 % of crude runs in 2016 (per EIA), residual fuel is a minor product in the U.S. when compared to the global yield of 9.5 % excluding the U.S. Clearly, the IMO 2020 regulation will have a much greater potential for impact to refineries in other parts of the world than in the U.S. Topping mode: Only the products through diesel that naturally occur in crude oil are produced as light products. The portion of the crude oil barrel that boils above 650oF is often directed to fuel oil. Cracking mode: The gas oil portion (approximately 650-1050oF) of crude oil is drawn off and upgraded to light products, primarily via fluid catalytic cracking or hydrocracking processes. The 1050oF+ cut is often produced as asphalt or blended with distillate for fuel oil. Full conversion mode: Not only the 650-1050oF material, but also the 1050oF+ material is converted to light products (primarily via coking or hydrocracking). Most refineries that operate in this mode produce only a small amount of residual-type material. A refinery may be configured to operate in more than one mode, depending on processing strategy and the crude slate being processed. Globally, the prevalence of full conversion refineries varies widely. A prime example of this is the total refinery coking plus resid hydrocracking capacity in North America (13.6% of crude capacity) versus Asia (only 3.2%), as seen in Table 2, below. *All figures are percent of crude capacity unless otherwise noted. The probable impact of each type of refinery mode by the IMO 2020 Rule is discussed below. The context of this discussion is from a global refining perspective, but could be applied to any region. Topping – Topping refineries that process high sulfur crude oils will need to find new outlets for the significant volume of high sulfur residual production that will be displaced by the IMO 2020 Rule or switch to sweet crudes. HSFO prices could fall to the alternative price needed to sell into power generation plants. Of all classes of refineries, topping refineries producing HSFO will likely feel the greatest threat to continued operation. Coastal refineries that produce HSFO may be at risk if they cannot switch to a low sulfur crude slate or if the price of the low sulfur crude rises. Cracking – Cracking refineries producing HSFO will feel much the same economic pain as the topping mode. 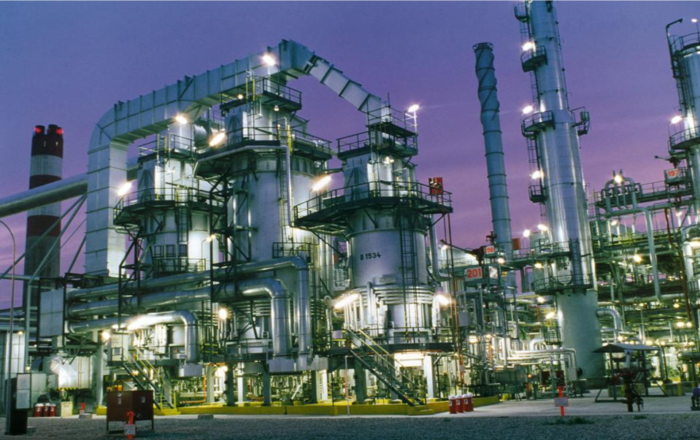 Cracking refineries should have more options than topping refineries, though, including deeper gas oil cutpoints, asphalt production, lube oil production, and crude slate modification to permit catalytic cracking of lower sulfur resids. Full Conversion – These refineries will be the big winner of the IMO 2020 Rule change since the distillate price, sweet/sour price differentials, and light/heavy crude differentials will all increase. Optimization of crude slates and product mixes will bear significant fruit. In addition, HSFO price may fall low enough to replace crude oil with HSFO as a refinery input. A driver for using HSFO as a feedstock is that it usually contains 30% distillate and 70% residuum, automatically increasing a refinery’s distillate yield. Full conversion refiners will also see an economic incentive to expand capacity of their resid processing facilities. Refineries that run low sulfur crudes and produce LSFO, and inland refineries would probably be shielded from the reduction in HSFO demand. For LSFO refineries, market demand and prices for LSFO for marine fuel should increase as will low sulfur crude oil prices. Inland refiners should not see their residual demand reduced unless they transport the fuel oil to coastal areas, since they would be serving local markets. However, these inland refiners will still be subject to the price changes in distillate as well as wider price spreads for light/heavy and sweet/sour crude. Stillwater analysis suggests that the majority of the HSFO currently consumed as marine fuel comes from the cracking category of refineries that process sour crudes. These are the refineries that most urgently require a plan for alternate disposition of their residual materials currently directed to marine HSFO sales. Residual fuel oil has historically priced at 70-85% of crude oil price. Any widening of crude oil/HSFO differentials due to IMO 2020 only increases the economic driver for refinery resid upgrading projects. There are only 26 months between now and January 1, 2020 when the IMO 2020 Rule takes effect, too short of time to initiate a residual upgrading project. Without the opportunity to respond with an investment timed to be onstream in 2020, refiners will have to depend on operational changes, small-scope debottlenecking, or commercial changes to reduce their exposure to the marine HSFO market. Time is of the essence for high sulfur cracking refineries. Each of the above potential changes can be an opportunity as well if the refiner begins to execute a strategy to take advantage of the changes that will be brought forth by the IMO 2020 Rule. For refineries with existing residual destruction and associated processing facilities capacity, there will be a strong driver to fully utilize or debottleneck that capacity. Plans need to be made taking into account the specifics of the refinery, location, and markets. This process will position the refiner to capitalize on the market changes that IMO 2020 will bring. Increased capacity utilization could come from purchasing residual stocks from other refineries, modifying crude slates to capitalize on the ability to handle more high sulfur residual material, increasing refinery runs, or some combination of these. These refineries may see strong near-term economic drivers to expand their residual destruction and associated processing facilities capacity. The planning challenge for a refiner is that the unknowns far outweigh the knowns for the criteria that refiners depend upon to make decisions. Marketplace price changes may not be durable as the shipowner and refining industries adapt and optimize. Adoption of alternative fuels such as LNG and methanol may also become more impactful in 2025 and beyond on global refining margins. In the longer term, refiners will have a difficult decision on whether to launch new residual destruction projects that would come onstream after the IMO 2020 Rule takes effect. Such new projects will likely entail more than just installation of resid processing capacity (e.g. coker, hydrocracker). Ancillary facilities such as sulfur recovery, hydrogen generation, and additional hydrotreating will likely also be part of project scopes. For any major projects, 2025 is a more realistic timeframe for implementing any new residual destruction projects that have not yet been announced. However, perceived refinery economics for new residual destruction projects will be heavily dependent on the refiner’s view of how aggressively shipowners will install stack scrubbing facilities in their fleets. Aggressive deployment of stack gas scrubbing could largely erode any economic driver to install new refinery residual destruction and associated processing facilities capacity. Next month’s Stillwater newsletter will present Part 4 of our series on the IMO 2020 Rule: The Bunker Suppliers’/Blenders’ Perspective, highlighting some of the key issues driving this sector of the maritime industry. Whether you’d like to develop a better understanding of the IMO 2020 Rule and initial compliance tactics or you’re interested in collaborating to better define your strategy and tactics, Stillwater Associates is here to help. Contact us. We invite your questions and comments on this evolving significant issue.